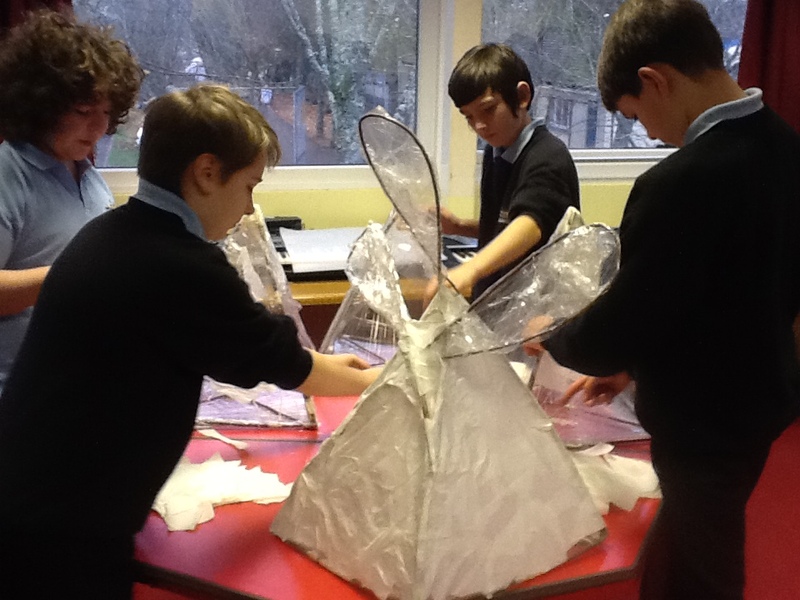 Christmas is coming, the festive lights on Fore Street are being switched on, and a group of Year 7 students from saltash.net will be taking part in the annual lantern parade as part of the event. 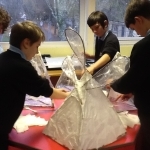 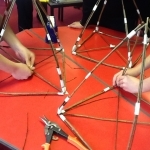 Thanks to the support of Saltash Town Council 30 of our students recently spent an afternoon in a Christmas Lanterns workshop at school with a visiting artist. 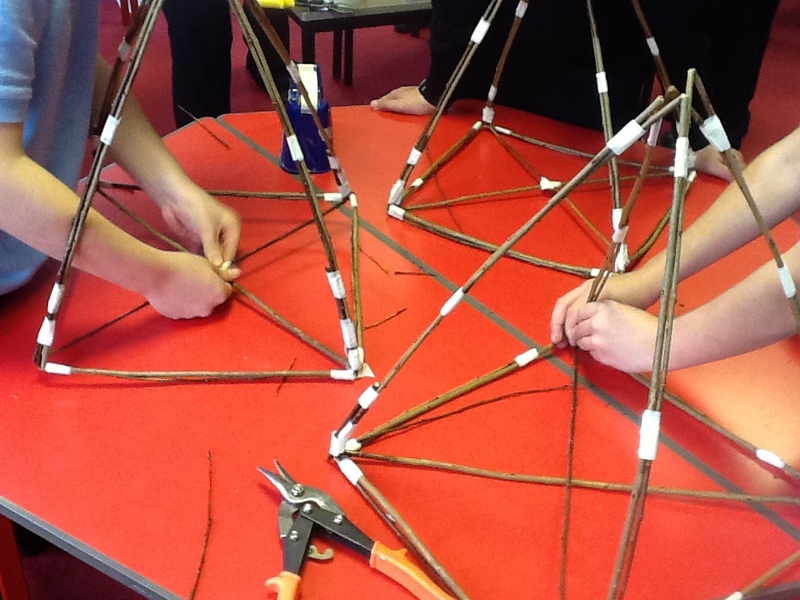 First they created willow branch pyramid frames, then covered them in plastic wrap. 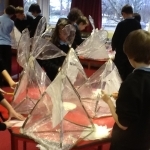 Following this some of the students spent a morning with younger students at Bishop Cornish Primary School assisting them in making their own lanterns, as next year the saltash.net students will be tasked with running the workshops themselves. 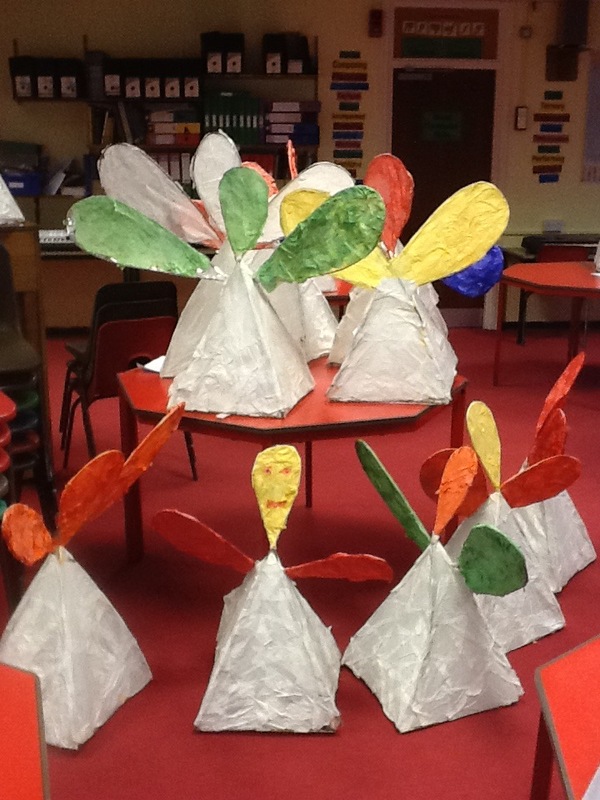 The lanterns have now been decorated with tissue paper (a rather messy couple of hours thanks to watered-down PVA glue…!) 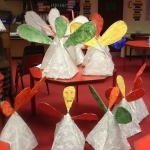 and will be on display in the parade at the Christmas lights event on Saturday 1 December. 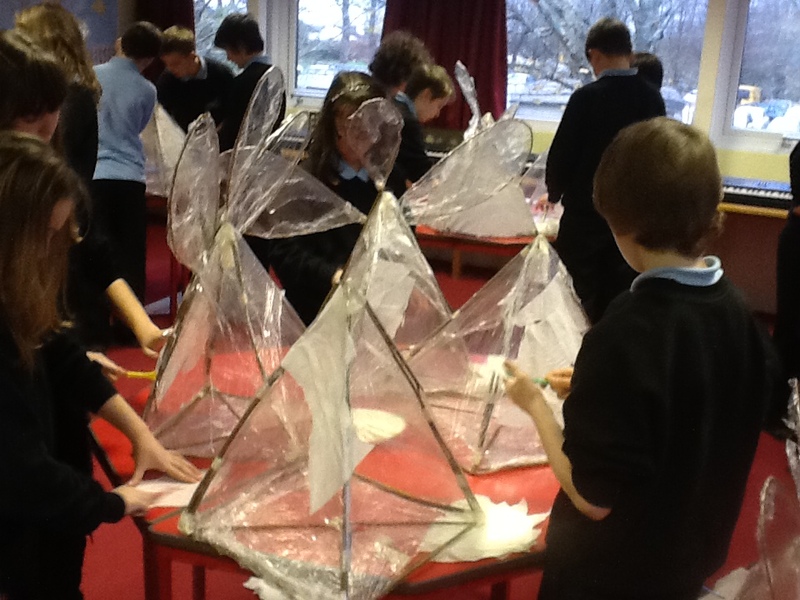 The students all worked extremely hard throughout the project and were a real credit to the school.